7 Keys to Divine Healing! Pt 3; w/TMartin - Ziglar's Healing & More! LiveStream Un-Program! – 8pm ET Every WEDNESDAY! Make a donation and receive your New Members Information Downloadable Gift! Learn the basics of Quantum Energy. Live Broadcast 8pm ET Every Wednesday! Thank you for this informative posting. I have been prepping for several years and have been trying to solve the need for alternative power. I do have some solar but would like something better. I will sign up. #095 The Seven Keys to Success to Receive Divine Healing! Pt 3; Guest Timothy Martin – Ziglar Miracle Healing, Michigan Incident, Underground Cities, & More! Guest/Topic: Brother Timothy Martin – Ziglar Miracle Healing, Michigan Incident, Underground Cities, & More! 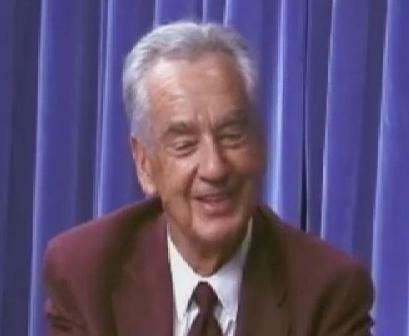 Zig Ziglar shares the story of his miracle healing after losing 6 pints of blood! Greetings to all Brothers and Sisters in Christ! Get informed and involved in REAL World Improvement! Help change our world for the better! We will also share a brief video clip of well known motivational speaker, Zig Ziglar, discussing his Divine Healing after losing nearly 6 pints of blood. Brother Martin will be returning this week to engage Sir T in more conversation about recent events like the large explosions heard in Michigan last week. Could it have something to do with Sir T measuring unusually high levels of radiation in Ohio? As often happens, discussion about the technologies WITTS Ministries has developed over the years will be covered. Again as a reminder, JT’s ebook is available from the WITTS Gifts Page. Free Energy 101 contains a wealth of information about free energy and other amazing inventions and technologies. Great reading, and for a good cause too! Submit your questions live, in chat or at the email address below! Another exciting program that you won’t want to miss! If you can’t be with us live, check out previous shows on our website, http://www.witts.ws/category/advanced-technology-teaching-archives, or on Vimeo. Tell your friends! Invite everyone! Your questions and comments welcome. We send you our LOVE! God Bless You! THE MOST IMPORTANT CAUSE ON EARTH! Real World Improvement! There you may view past shows and find more information. — Do you believe quantum teleporting is something God would have us do or not? And, if so why? — Regarding the underground cities that were recently nuked. did china do that? do you know what continent it took place under. — Would aliens be under God’s grace and plan for salvation? — Sir T- could we pray in agreement for my healing- can’t seem to shake this devil (sickness) off me…..while you pray I’ll praise and thank The Lord for already healing me! The proceeds derived from materials offered on this website are carefully utilized toward various projects to bring about a better future for all. Please help us deliver alternative energy and technologies to the public by making a donation. All materials on this website are copyrighted and are not for distribution or duplication without explicit permission of WITTS Ministries.